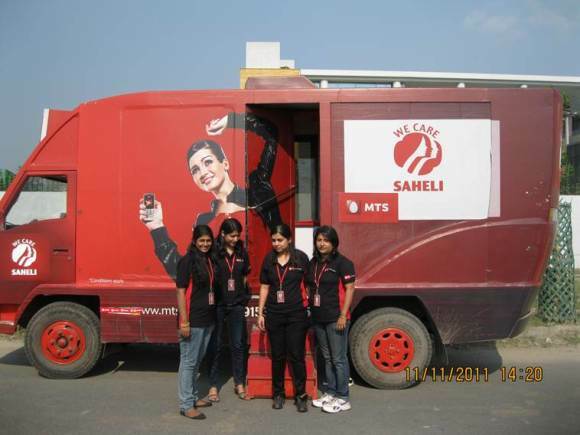 MTS has started a new initiative called ‘MTS Saheli’ to engage and connect with female customers across West Bengal. The initiative is aimed to provide a range of telecom services to women customers right at their doorstep by reaching out through an air-conditioned bus. To establish a stronger connect, the initiative will be led by female staff right from steering of the bus to demonstrating the range of mobile handsets, along with providing information about mobile plans offered by MTS. MTS Saheli will also advise female customers about health and wellness tips by providing access to female physicians and beauty experts. As part of the innovative engagement channel, all female customers coming to the MTS Saheli Bus will also get attractive freebies and discounts on every new mobile connection and recharge done by them. To make this initiative more effective, MTS Saheli will be traveling through 30 towns across West Bengal in 45 days interacting with female customers. Based on the learnings company plans to roll out the initiative nationally.